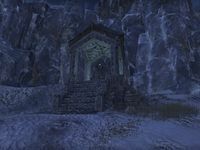 Merchant's Gate is a gate found on the southern border of Wrothgar. It links to the Merchant's Gate in northern Bangkorai. Merchant's Gate Wayshrine is located along the road north of the gate. 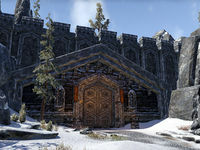 It is automatically marked on your map when you gain access to the Orsinium DLC.